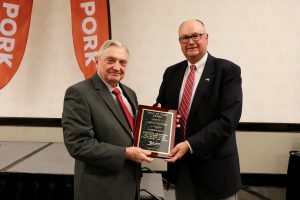 The North Carolina Outstanding Pork Producer of the Year award recognizes a pork producer or family who has made significant contributions to the pork industry in North Carolina. Jim Stocker (left) is inducted into the NC Pork Hall of Fame by Ed Emory, chairman of the Awards Committee. 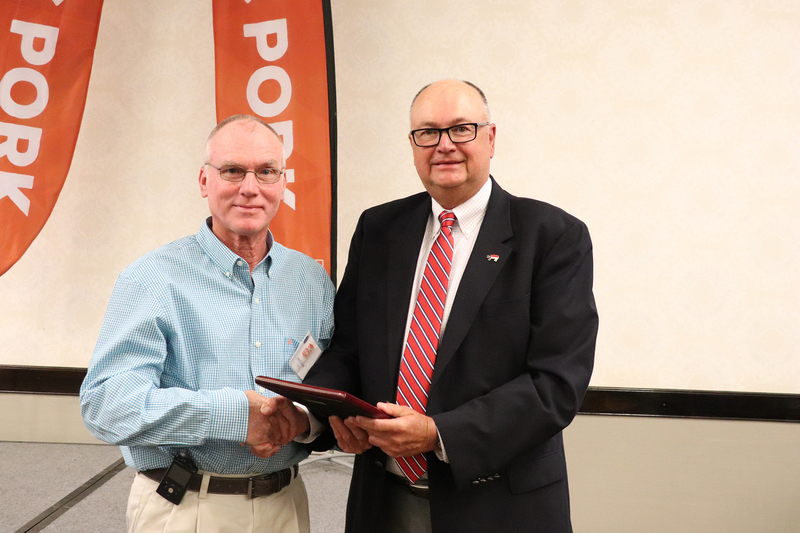 RALEIGH – Six North Carolina hog farmers – and one allied company – were honored at an awards luncheon on Thursday, Mar. 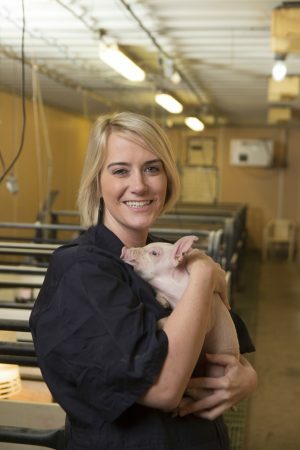 21, at the annual N.C. Pork Conference. 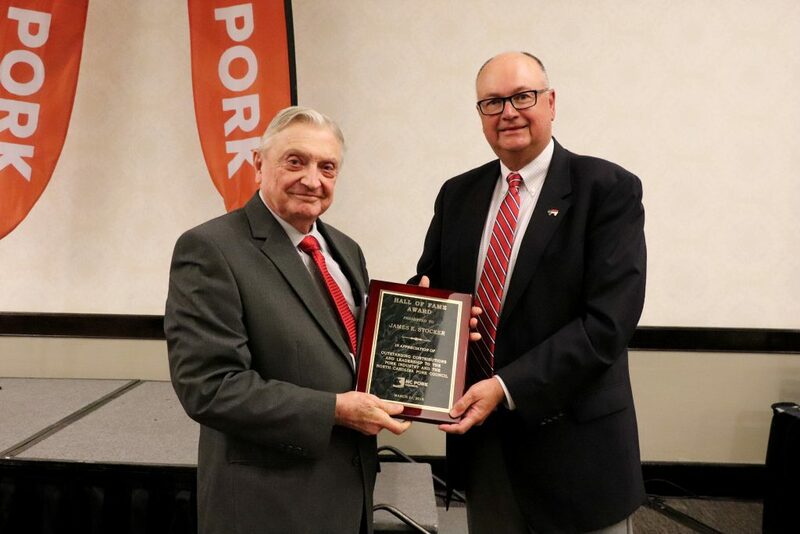 The National Pork Board honored Dr. William “Billy” Flowers with its Distinguished Service Award during the National Pork Industry Forum in Orlando. 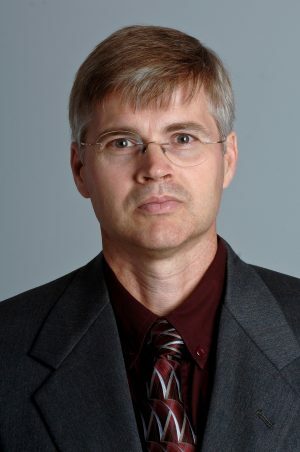 Flowers is an animal science professor at North Carolina State University. A judgment stemming from a $50 million verdict must be overturned, farm groups told a federal appeals court in Richmond, Va., yesterday. 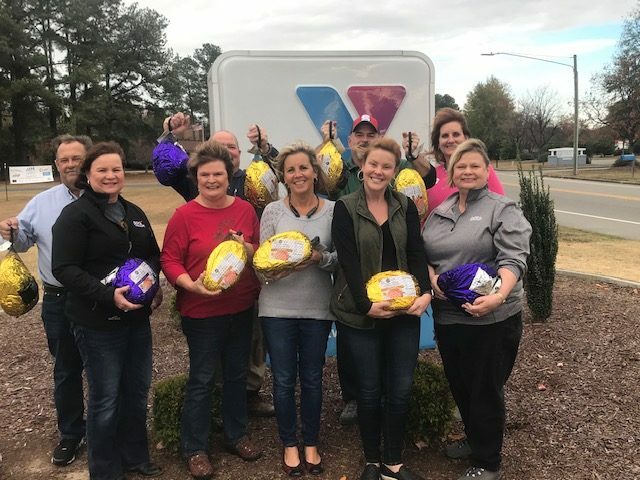 Wayne County pig farmers are providing hams to the Y’s Men program at the Goldsboro Family YMCA as part of the Hams Across America campaign. Having the advanced notice of pending hurricanes is a double-edged sword.